Halogen projectors focus the light in the desired spatial angle, they are long-range devices. Halogen projectors are lighting devices that have excellent color reproduction near sunlight. 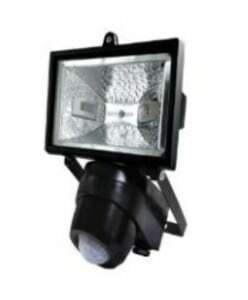 In projectors with a halogen lamp the luminous flux is 16-20 lm / W, the lifetime is 2000 hours. 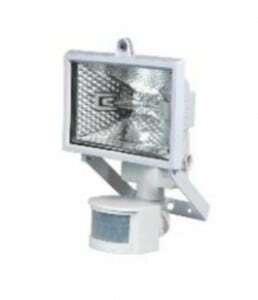 The bulb of halogen projectors is made of quartz glass, it allows to produce lamps of smaller sizes, they are resistant to high temperatures. Using these projectors, you can create directional or soft, diffuse, shadowless, spot lighting. 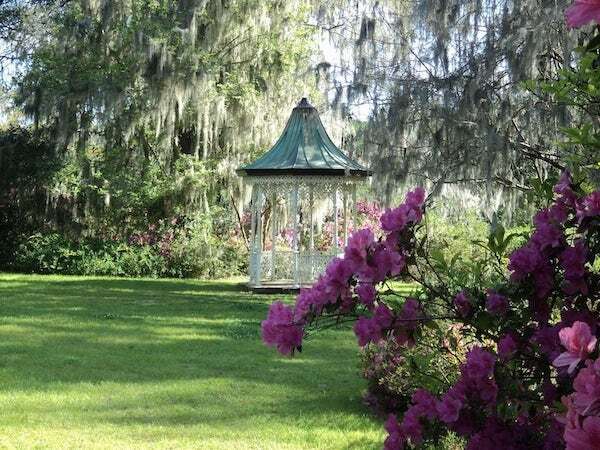 You can call it a creative element in designing outdoor lighting solutions. Halogen projectors are commonly used with a three-phase lighting rail, which allows the creation of very complex lighting systems. If necessary, the device can be installed on the surface of walls or ceiling. What do the halogen projectors do? They are most often used to illuminate large billboards, illuminate the walls of buildings and are used for decorative lighting of bridges. 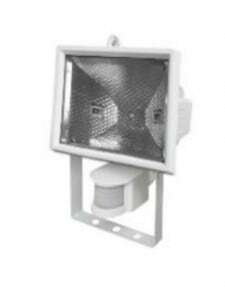 Some types of halogen lighting are ideal for industrial rooms where humidity and dust are exceeded. The protection level of the device is high IP44, therefore the inside dust is completely excluded. Halogen projectors can have two light sources that perfectly illuminate the garage entrance and the garage itself. 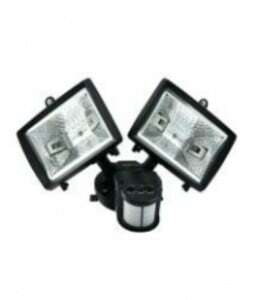 They can also be used to illuminate the terrace and garden at the same time thanks to the double halogen lamp. One device has the ability to illuminate two areas simultaneously without the need for an additional projector. The 180 ° movement sensor has a range of 10 m thanks to which it is a practical and ergonomic solution. The use of the R7s bulb positively affects the reduction of power consumption and lower bills. A halogen projector with a dual light source and motion sensor is a support when using an alarm system. First of all, they have a low cost, give a warm and bright light. These advantages allow them to be used in areas where the required light brightness is required, where high color reproduction is required, for example at trade fairs, trade fairs etc. Projectors with different forming angles streams of directional light, combining lighting devices with other devices allows you to achieve any, even very complex lighting tasks. 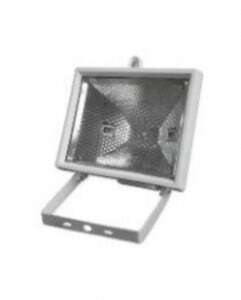 The construction of halogen projectors includes protective glass that can protect the lamp from possible damage. The possibilities of application are not limited to any climatic conditions. The projector with the sensor provides economical energy consumption, because the lighting only turns on during the recording of noticeable movements. 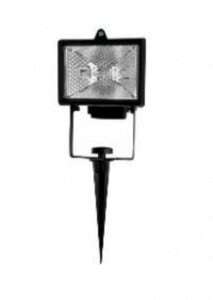 There is also a halogen projector with a skewer that can easily be placed in the ground and illuminate the alleys in the garden, access to the garage and any other place that requires this type of lighting.